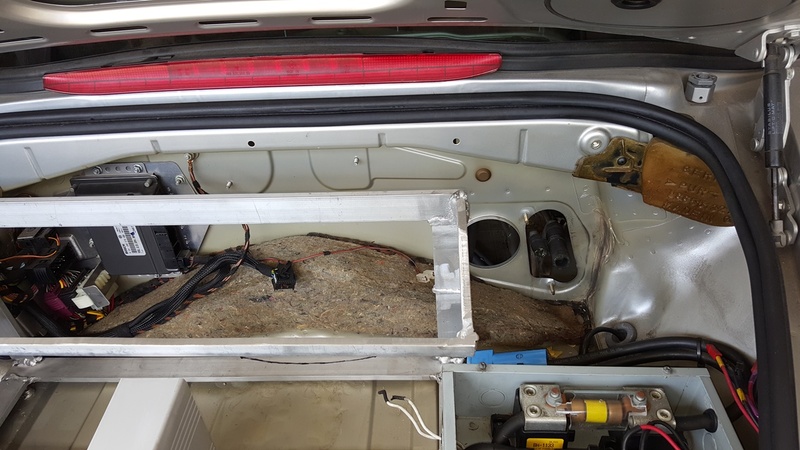 I am at the stage in my conversion that I am ready to route the wires to the rear trunk. It would be great if I can get just the big round rubber grommet so that all the wires are safe guarded. Also the grommet that fits around the 'rectanguloid' opening. The grommets that fit in the places shown in attached pic of the right rear trunk. Given the shape of the grommets, it will be challenging to create a custom ones. Besides the original one would fit perfectly. If someone has replaced their engine harness, I would appreciate if you can spare the grommet. I don't need the harness. Last edited by PorscheFan5; 03-12-2019 at 07:02 PM.